Facebook is mainly for personal network designed for casual social interactions with friends and other peers. Although the concept that Facebook built around was successful, it does not target specific niches and is more for the general public to use. 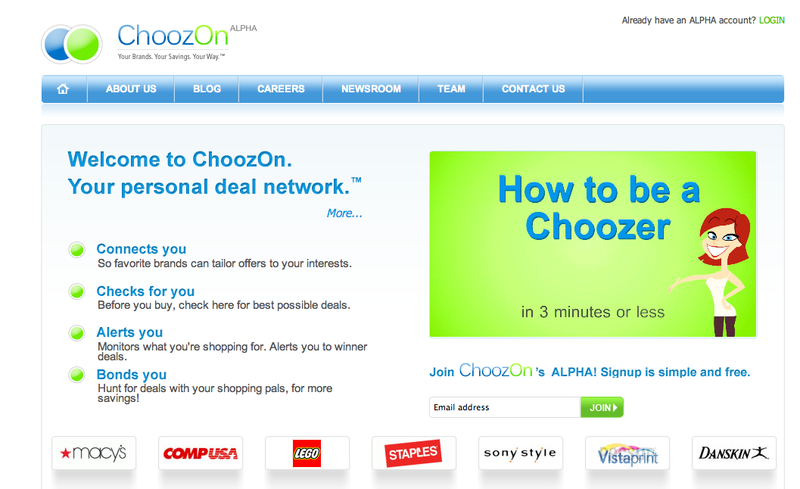 So a trio of former Yahoo executives took this as an opporunity to build a new specialized social networking website, ChoozOn. The website will begin operating early this summer. It is focused on shopping discounts and sharing and receiving them from brands that the users themselves choose to connect and communicate with. A great convenience that ChoozOn offers is that users will be able to organize and manage their daily deals and discounts that is picked and highlighted for them by the website itself, based on his or her tastes and preferences. And when users share their shopping and brand preferences, the retailers can customize specific discounts for them. I have a strong feeling that this website is going to be big. Who doesn’t love discounts brought to their doorstep, really. What do you think?